Everyone who travels knows that you can learn about a country’s history and customs from its food. Portugal takes it seriously! Our gastronomy is considered to be one of the best in the world because of its finest quality ingredients and variety of traditional dishes and flavors. 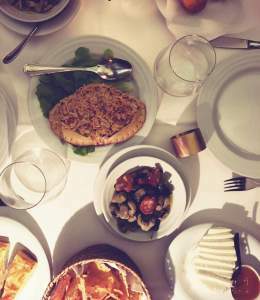 Going to a nice Portuguese restaurant is something that you, as a traveler, shouldn’t miss. Portugal Premium tours has a Full-day tour to the region of ‘Alentejo’ famous not only for its wine, olive oil and cork but also for its gastronomy. 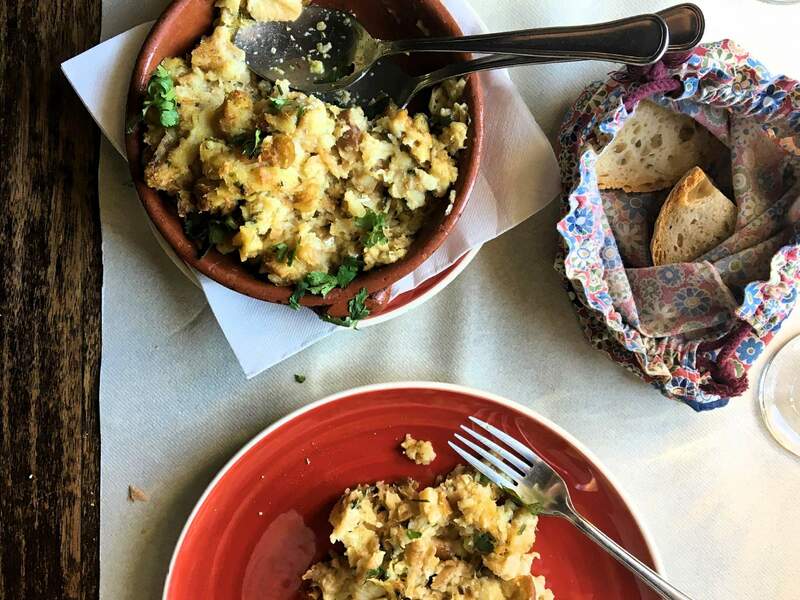 And because we understand the importance of a good Portuguese meal let us give you two suggestions on where to eat and you just might have the most memorable eating experience of your life! 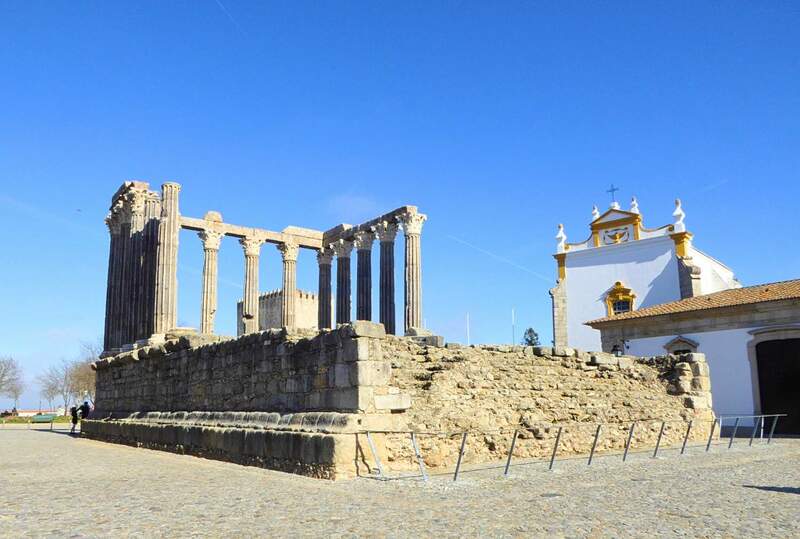 On the tour ‘Alentejo and its beauties’ you’ll visit Évora, a city classified by UNESCO as a World Heritage site since 1986. Évora has many monuments and since you’ll be spending your entire morning walking around the city centre visiting its most iconic monuments, you should consider having lunch close by. Our first suggestion is: ‘A Tasquinha do Oliveira’. Manuel and Carolina Oliveira are the owners of this small restaurant for only 15 lucky people, so don’t forget to book in advance. The restaurant walls are decorated with culinary awards and brightly colored ‘Alentejo’ plates. 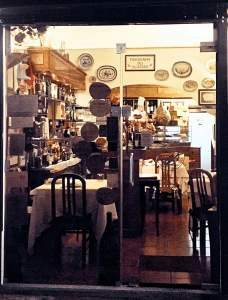 This is not only a place to eat but to have a gastronomic experience. Be prepared to taste the best ‘petiscos’ (Portuguese tapas) and the most traditional Alentejo dishes. 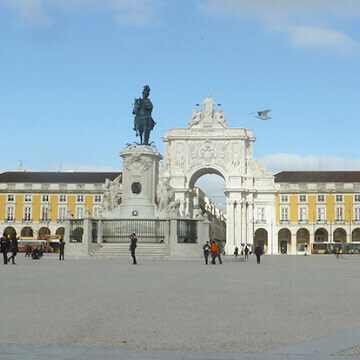 All the tours of Portugal Premium Tours are prepared by qualified specialists that plan the itinerary with different activity proposals to fit all client’s needs and make their vacation memorable. 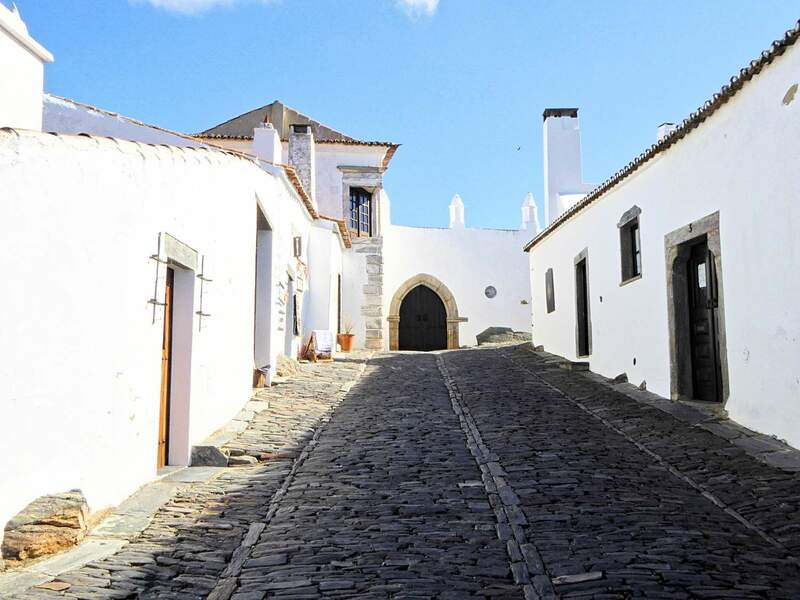 For those who prefer visiting those picture-perfect European villages with houses painted white and slate roofs the ‘Alentejo and its beauties’ tour has the option to visit the village of ‘Monsaraz’. A village where most people still live following old traditions. This medieval village was conquered by the Moors in the 12th century and still maintains its characteristics throughout the centuries making it unique in the region. From the top of the castle walls, classified as a National Monument, we can see the whole village and the ‘Alqueva’ dam – the largest man-made lake in Europe. 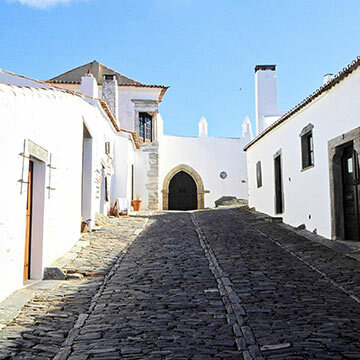 If you choose to visit Monsaraz our second suggestion is: ‘Sabores de Monsaraz’. 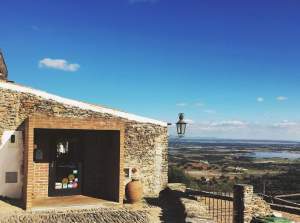 A very traditional restaurant with a stunning view to the ‘Alqueva’ dam and the plains of ‘Alentejo’. 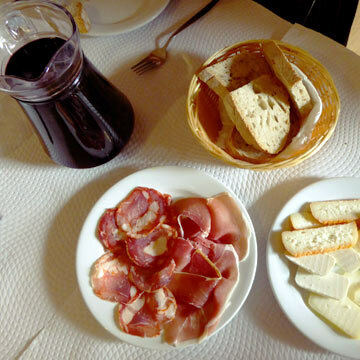 The food is prepared by the host, Dona Isabel and as in all Portuguese restaurants, they automatically place bread, cheese and smoked sausages on the table. 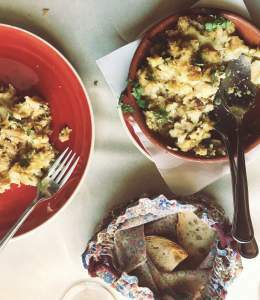 Don’t forget to try the fresh cheese with fried garlic and olive oil and a ‘Bacalhau’ (codfish) dish. Remember that gastronomic experiences are not only about eating in fine dining restaurants but to have an experience that you can, in a unique place that stands out for its atmosphere and people. 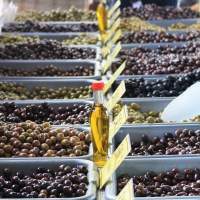 Check out our recommendations for: cooking classes, Food tasting tour and olive oil tour. Learn about the production of the Olive oil in Portugal and how it became one of the most important natural products in the country. Find out more!